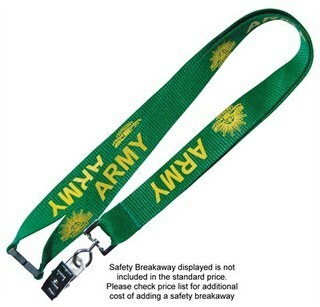 Polyester Ribbed Lanyard (flat). 25mm wide. Colour: White / Black / Silver / Navy Blue / Royal Blue / Light Blue / Green / Yellow / Gold / Orange / Light Red / Dark Red / Pink / Purple. PMS colour matching is also available, just let us know your colour!